Years back in the sitcom "Martin" ,there was a skit about Martin Lawrence's class reunion.In this class reunion Martin did battle with the class favorite ,"Pretty Ricky " is what they called him. In today's political world Governor Rick Perry of Texas will emerge as one the GOP candidate's to challenge President Barack Obama. 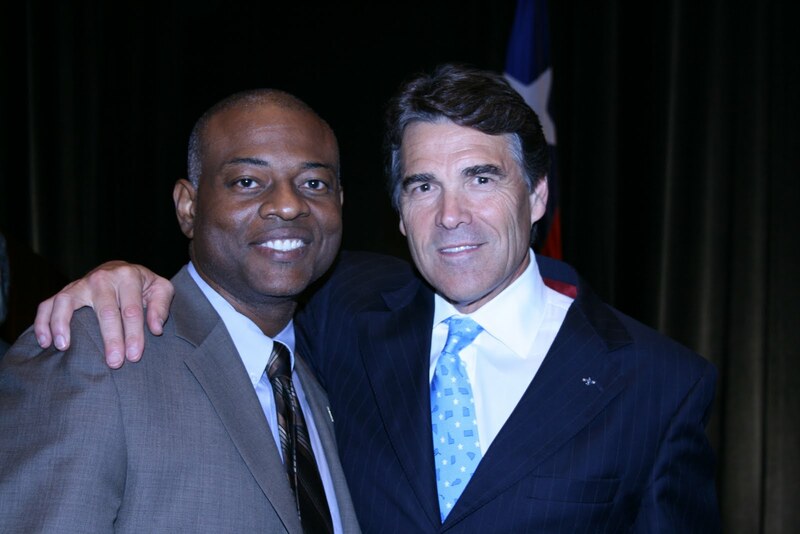 Governor Perry and myself had the opportunity to talk job creation several years back. The Texas economy is one of the pillars that Governor Perry will be running on. Texas as you know is a right to work state ,with an inexhaustible supply of labor from across the border. (We can talk illegal immigration another time). One of the strong suits that Governor Perry has going for him is that the GOP field is still trying to field a frontrunner that has energized the base.Governor Sarah Palin and Speaker Newt Gingrich are making more money being themselves and selling their books ,appearances etc . Michelle Bachman is making inroads and appears to be a "Tea Party" favorite and Governor Mitt Romney moderate appeal f or swing voters is not helping him with the GOP faithful .Also he signed a health care legislation in Massachusetts that reminds some GOP of Obamacare. Just a quick note to my GOP friends before any other criticisms of Obamacare,you got to admit OBAMACARE looks a lot like the health care proposals championed by 1996 GOP presidential candidate ,Bob Dole. Bottom Line , Governor Perry has just steered Texas through a special session , and he is visiting key states and calling folks in key states such as in Iowa ,and South Carolina. Testing the waters no doubt .It's a matter of time before "Pretty Ricky" will be in the race.The biggest obstacle that Governor Rick might have in regards to getting traction for the GOP nomination,is Texas Fatigue .People might be tired of Governors from Texas. Happy 4th of July ! Patriotic Songs for all Americans ! Happy 4th of July !Each year as we celebrate America's freedom it gives me time to to reflect on the greatness of this country.I think of the Founding Father's and their desire to start a new governmental system .I think of a Civil War that liberated millions of American that the Founding Fathers forgot about .I think of a peaceful Civil Rights revolution that reminded Americans that we should all be free. As we go to the various parades, bar b ques ,and family gatherings, let us all be reminded that freedom is not free. God Bless America , and God Bless those brave soldiers on foreign shores that they come home to enjoy those same freedoms we observe today. My favorite version of our National Anthem ! From Marvin Gaye ! I learned this song in first grade ,like many of us ! Ray Charles sings America the Beautiful ! Beyonce sings our National Anthem ! Our tribute to America would not be complete if we didn't add America the Beautiful to the collection.Let's close out with Tyrese singing our National Anthem , and Jaime Foxx singing America the Beautiful ! GOD BLESS AMERICA , and GOD BLESS YOU !